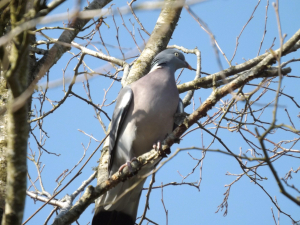 Observation - Wood Pigeon - UK and Ireland. Description: Several birds seen within the grounds of Llanelli WWT site - many around the feeders near the Visitor's Centre, but others spread around the site. Several birds seen within the grounds of Llanelli WWT site - many around the feeders near the Visitor's Centre, but others spread around the site.